In August 2018 I will set off at the Arctic Ocean in Alaska to cycle 23.000 kilometers to Ushuaia at the Southern point of Argentina. The journey will be unsupported and I aim to arrive in less than 100 days. 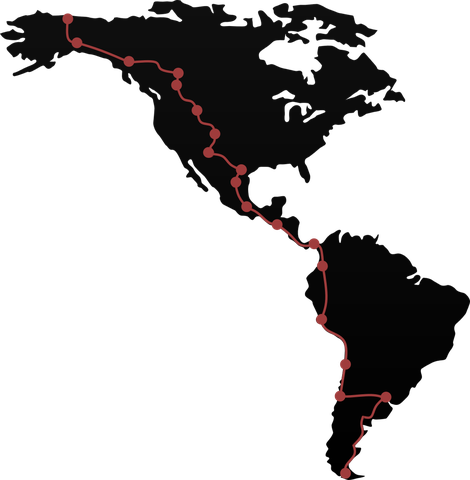 The current World Record for the fastest unsupported journey goes back to Scott Napier who finished in Ushuaia after 125 days back in 2009, a time that I want to beat by almost a month. While speed and performance are important, I also want to have a great adventure and experience the amazing landscapes and cultures throughout the journey. What could be better than riding alone along the worlds longest land connection! Follow me on Life tracker and constant updates.